Dimitri Vegas & Like Mike feat. Vangosh, Walden, Strange Talk, Showtek & Justin Prime feat. Matthew Koma, Bream & Jetique and more. Blake & Dilu, An Electronic Dance Music Duo born in Sri Lanka fused their Music talent to make SELECTRO. 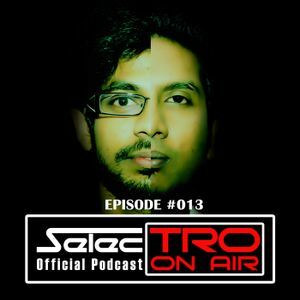 The two talented Djs created an reputation not only in Sri Lanka but worldwide from their Music Productions & "TRO On Air" - the official Radio Show of Selectro. Hang on tight, SELECTRO is here to make you Dance. Check out our brand new episode "TRO On Air - Episode #013"
Subscribe to iTunes and download our podcast Free.